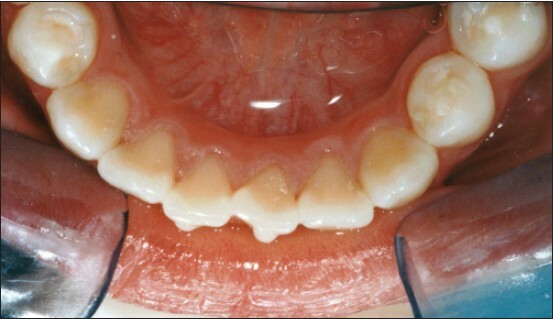 Background: The removal of plaque is utmost important to control dental caries. But in children, factors like lack of dexterity, individual motivation and monitoring limit the effectiveness of tooth brushing. This necessitates the use of chemotherapeutic agents for control of plaque. Aims: To compare the antimicrobial efficacy of 0.2% chlorhexidine mouth rinse and mouth rinse containing 0.03% triclosan, 0.05% sodium fluoride, and 5% xylitol in reducing the Mutans streptococcus count in plaque. Materials and Methods: Thirty healthy children aged 8-10 years with dmft (decay component) of three or four were selected. They were divided randomly into two groups: The control or chlorhexidine group and the study group or combination mouth rinse. Both the groups practiced rinsing with respective mouth wash for 1 min for 15 d twice a day. 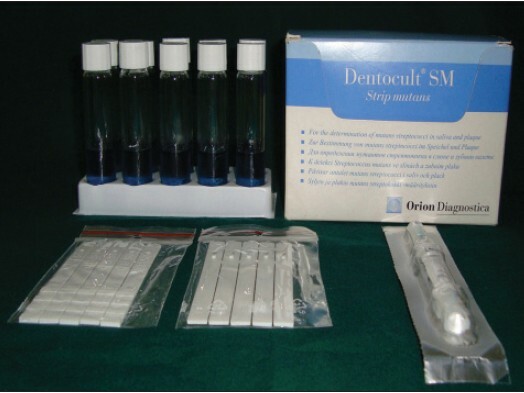 The plaque samples were collected and after incubation Mutans streptococcus count was estimated on the strips from the Dentocult SM kit and evaluated using manufacture's chart. Statistical Analysis Used: Wilcoxon matched pairs signed ranks test and Mann-Whitney U test were used to analyze the findings. 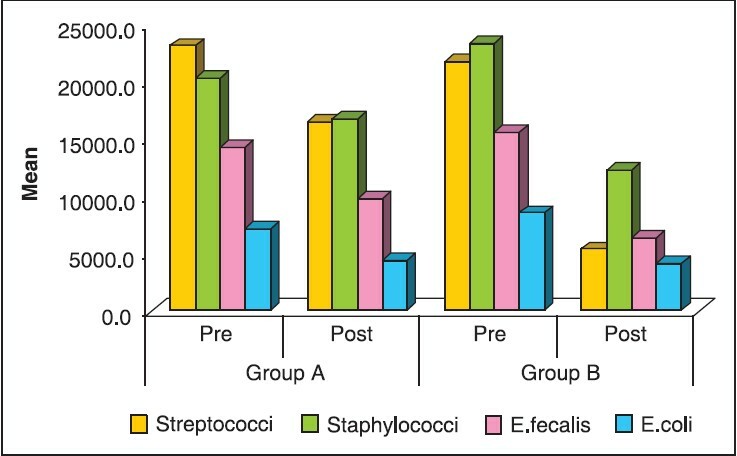 Results: Statistically significant reduction in the Mutans streptococci count in the plaque was seen in the control and study group from baseline level. But when both the groups were compared, the antimicrobial effect of chlorhexidine was more. Background: Dental avulsion is defined as the complete displacement of tooth out of socket along with severed periodontal ligament with or without fracture of the alveolar bone. Reimplantation of the avulsed tooth is considered as a best treatment modality due to its biological and psychological advantages. The viability of periodontal ligament cell on the root surface determines the prognosis of reimplanted tooth. The knowledge of parents regarding important steps to be taken immediately after dental avulsion is considered crucial for success of the treatment. 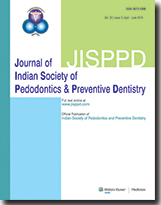 Aim: The study was conducted to evaluate the knowledge and attitude of parents in Chennai with regard to avulsed permanent tooth of their children and their emergency management using a questionnaire. Materials and Methods: The study included 529 parents who accompanied their children, aged between 6 years and 12 years, to the Department of Pedodontics, Saveetha Dental College and Hospitals. Chi-square test was done to evaluate the association between the results and the genders, educational level, and geographical status of the respondents. Results: The study revealed even though 90.7% of parents knew that saving an avulsed permanent tooth is important, but almost one third of the population thought ice water was the best media to transport an avulsed teeth. Conclusion: There is an imperative need for educating the parents regarding management of avulsed tooth for which 87.9% showed interest. Aims: To compare the clinical efficacy of two space maintainers namely, conventional band and loop and Fiber Reinforced Composite Resin (FRCR) space maintainers . Subjects and Methods: Thirty healthy children, aged 5 to 8 years were selected having at least two deciduous molars in different quadrants indicated for extraction or lost previously. FRCR space maintainer was placed in one quadrant and in the other quadrant band and loop space maintainer was cemented. All the patients were recalled at 1 st , 3 rd , and 6 th months for evaluation of both types of space maintainer. Patient acceptability, time taken, and clinical efficacy was recorded. Statistical analysis used: The observations thus obtained were subjected to statistical analysis using Chi- square test and Mann-Whitney U test. Results: Patient acceptability was greater in Group I (FRCR) in comparison to Group II (band and loop space maintainer). The time taken by Group I was significantly lower as compared to that of Group II. In Group I, debonding of enamel, composite was the most common complication leading to failure followed by debonding of fiber composite. In Group II, cement loss was the most common complication leading to failure followed by slippage of band and fracture of loop. The success rates of Groups I and Group II weares 63.3% and 36.7%, respectively. Conclusion: The study concluded that FRCRFiber Reinforced Composite Resin (Ribbond) space maintainers can be considered as viable alternative to the conventional band and loop space maintainers. Background: Use of Highly active anti-retroviral therapy have increased the life expectancy of human immunodeficiency virus (HIV) infected patients and hence it is imperative that all efforts have to be made by Pediatric dentists to provide a better oral health for these children. Aim: The aim of this study was to evaluate the rate of utilization of free dental treatment provided to these perinatally infected HIV positive children who were previously screened as a part of oral health survey. Design: Purposive sampling was used. Inclusion criteria: Perinatally infected HIV children screened for oral health status. Exclusion criteria: Patients not screened during the oral health survey. Materials and Methods: Attendance records of 319 perinatally HIV infected children consisting of 178 males and 141 females attending a specialized pediatric outpatient clinic at Indira Gandhi Institute of Child Health were examined to compare treatment compliance rates. Results: The number of patients in the severe category who completed treatment was significantly less compared with mild and advanced categories (P < 0.001). The difference in the proportion of patients who completed treatment between mild and advanced group was not statistically significant (P > 0.05). Conclusion: The results show that children with HIV have significantly lower compliance. Even though all dental treatment provided to them was free of the cost it still had no impetus to encourage them to go through with the treatment. Context: The choice of irrigating solution used in root canals of primary teeth is complicated by their complex morphology and paucity of associated literature. Propolis is a natural product that has gained interest in this context due to its antibacterial effectiveness against several endodontic pathogens. Aim: The present study was undertaken to assess the potential of water-soluble 25% propolis extract against microorganisms present in root canals of primary teeth during endodontic procedures. Settings and Design: The child patients in the age group of 4-7 years with radiographic evidence of carious pulp exposure were included in the study. Definitive selection was done after gaining access into the pulp chamber and root canals of the selected teeth. The clinical and radiographic evidence of pathosis was ruled out for inclusion in the study. 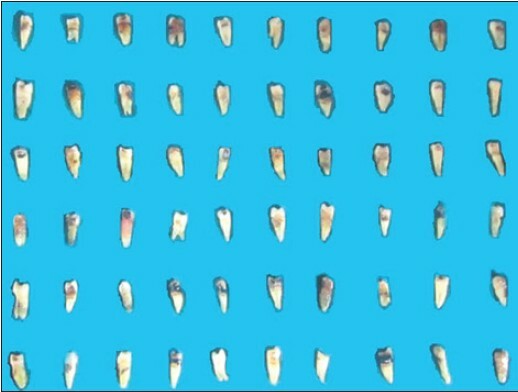 Materials and Methods: The selected teeth were divided into two groups randomly. In Group A 0.9% isotonic saline and in Group B 25% extract water-soluble propolis were used as irrigating solution, respectively. The bacterial samples were collected both pre- and post-irrigation and were transferred for microbial assay. Staististical Analysis: Wilcoxon matched signed rank test was used to compare the pre-and post-irrigation bacterial counts. Mann-Whitney test was used to compare the mean change (pre-post) in bacterial colony counts of groups in the study. Results: Antimicrobial effectiveness of 25% water-soluble extract of propolis in the root canals of primary teeth was confirmed in the present study. The reduction in the mean bacterial colony counts of all the isolated bacteria was noticed higher in Group B than Group A. Conclusion: The results of the present study have confirmed that the antibacterial effectiveness of water-soluble extract of propolis in the root canals of primary teeth in vivo. Considering the low toxicity concerns and antibacterial effectiveness, water-soluble extract of 25% propolis can be advocated as a root canal irrigant in endodontic treatment of primary teeth. The presence of migrants culturally different from inhabitants of the host country is now a widespread phenomenon. It is known that dietary habits and oral hygiene practices vary from country to country, which in turn has a profound effect on oral health. Objectives: To assess and compare the oral health status of Tibetan school children and local school children of Kushalnagar (Bylakuppe). Study design: A survey was conducted at Kushalnagar (Bylakuppe), in Mysore district, India to assess the oral health status of Tibetan school children (n = 300) and local school children (n = 300) and compared using World Health Organization oral health proforma (1997). Results: The proportional values are compared using chi-square test and the mean values are compared using Student's t-test. Statistically significant results were obtained for soft tissue lesions, dental caries, malocclusion, and treatment needs. However, results were not significant when gingivitis was compared in the two populations. 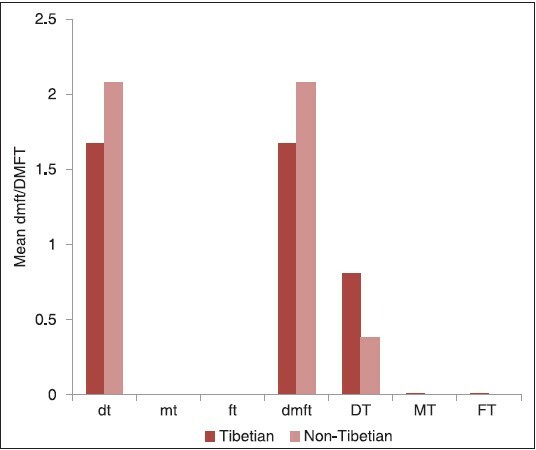 Conclusions: Tibetan school children showed higher prevalence of Angular cheilitis, gingival bleeding, dental caries experience, malocclusion, and treatment needs in comparison with non-Tibetans. Among the Tibetan school children, the requirement for two or more surface filling was more. Aim: The aim of this study was to compare the coronal microleakage of restorative materials used between sessions of endodontic treatment in primary teeth. 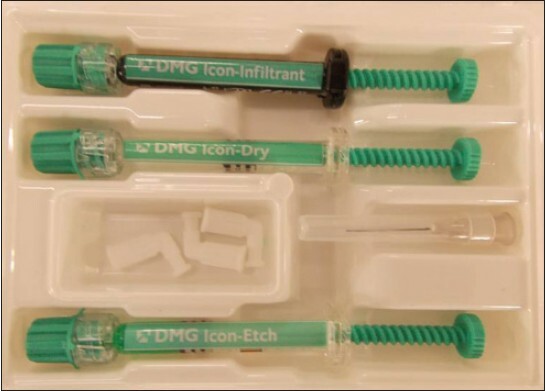 Materials and Methods: Forty healthy primary canines were chosen and randomly allocated to four groups: Group 1 - Cimpat Branco ® (n = 10), Group 2 - Bioplic ® (n = 10), Group 3 - Maxxion R ® glass ionomer cement (n = 10), and Group 4 (control) - Z350 ® composite resin (n = 10). Class V cavities were created and fillings carried out following the manufacturer's instructions. The teeth were submitted to thermocycling, sealed, and immersed in 0.5% basic fuchsin solution for 24 h. The teeth were split along their long axis in the vestibulolingual direction and the tooth-restorative material interface was photographed. 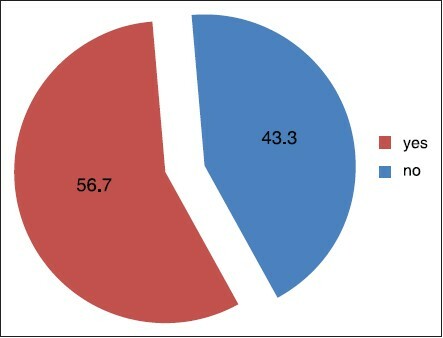 The percentage of microleakage was calculated using the ImageJ program. Data were analyzed using the analysis of variance (ANOVA) F-test and Bonferroni's t-test, with a 5% level of significance. Results: The following mean percentages of microleakage were found: Group 1 = 16.08%, Group 2 = 46.98%, Group 3 = 47.93%, and Group 4 = 11.03%. Statistically, significant differences were found in the comparison of Groups 1 and 4 to Groups 2 and 3. Conclusion: Cimpat Branco ® had a lower percentage of microleakage in comparison to Bioplic ® and Maxxion R ® glass ionomer cement. Background: Children with autism present with the physical-mental impairments and oral problems, which may have an impact on their quality-of-life (QoL). The aim of the following study was to assess oral health status and parental perception of child oral health related quality of life (OHRQoL) among children with autism. Materials and Methods: A cross-sectional study was conducted in 4-15-year-old children with autism (n = 135) and children without autism (n = 135). Oral health status was evaluated using Oral Hygiene Index-Simplified (OHI-S), its Miglani's modification for deciduous teeth, Decayed, missing and filled teeth (DMFT/dmft) and Decayed, missing and filled surface (DMFS/dmfs) indices. Parents answered the Parental-Caregivers Perception Questionnaire for assessing children's OHRQoL. Mann-Whitney U, Chi-square test and Pearson's correlation analysis were performed. Results: Mean OHI-S, DMFT, dmft scores were significantly high among children with autism (2.07 ± 0.83; 0.86 ± 1.22, 1.40 ± 2.48) when compared to children without autism (0.46 ± 0.58; 0.46 ± 1.06, 0.59 ± 1.28) respectively. Out of all domains of OHRQoL, mean score of functional limitations related to teeth problem was significantly higher among children with autism (8.87 ± 5.65) as compared to non-autism group (6.66 ± 4.97). Conclusion: Functional limitations may have a negative impact on oral health status that might influence OHRQoL. Aims and Objectives: The purpose of this in vitro study was to investigate the effect of polishing systems on the microleakage of three different restorative materials (Ketac Molar Easymix, Ketac N100 and Filtek P90). Materials and Methods: Class V cavities were prepared at the cemento-enamel junction of 60 freshly extracted premolars. The prepared teeth were randomly divided into three groups and restored with the three materials. The restored teeth were stored in distilled water at 37°C for 1 week. The restored teeth were then divided into two subgroups (polished and not polished) of 10. Finishing and polishing of the polished group was done using the Sof-Lex polishing system. Furthermore, all the restorations were subjected to dye penetration testing. Results: Results showed that maximum microleakage was observed for the not polished group of Filtek P90 and least levels of microleakage were seen for the polished group of Ketac Molar Easymix. Conclusion: There was a significant difference seen when Ketac Molar Easymix was compared with Ketac N100 and Filtek P90 in terms of the extent of microleakage exhibited on polishing of the three materials; with the former exhibiting the least microleakage scores. Calcifying epithelial odontogenic tumor (CEOT) is a rare and benign odontogenic neoplasm that affects the jaws. It is certainly an atypical instance to find this tumor in children. 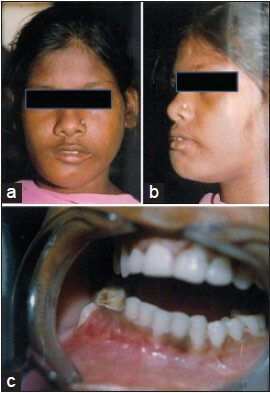 Here, we present two case reports of CEOT presenting in mandible of a 12- and 13-year-old female child, respectively. CEOT have been reported to show features of malignant transformation also. Oro-Facial Digital Syndrome (OFDS) is a generic term for group of apparently distinctive genetic diseases that affect the development of the oral cavity, facial features, and digits. One of these is OFDS type I (OFDS-I) which has rarely been reported in Asian countries. 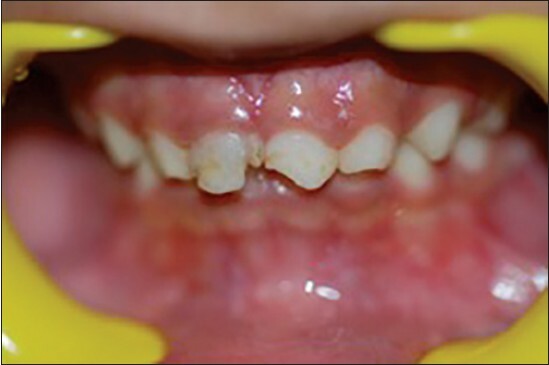 This is the case report of a 13 year old patient with OFDS type I who reported to the Department of Pedodontics and Preventive Dentistry, with the complaint of discolored upper front teeth. Esthetics by definition is the science of beauty - that particular detail of an animate or inanimate object that makes it appealing to the eye. In the modern, civilized, and cosmetically conscious world, well-contoured and well-aligned white teeth set the standard for beauty. Such teeth are not only considered attractive but are also indicative of nutritional health, self esteem, hygienic pride, and economic status. Numerous treatment approaches have been proposed to address the esthetics and retention of restorations in primary teeth. Even though researchers have claimed that certain restorations are better than the others, particularly owing to the issues mentioned above, the search for the ideal esthetic restoration for the primary teeth continues. This paper revisits and attempts to reintroduce the full coverage restoration, namely, polycarbonate crown, for use in primary anterior teeth. Seckel syndrome (SS) is a rare, autosomal recessive syndrome; characterized by severe intrauterine and postnatal growth retardation, microcephaly, mental retardation, and typical facial appearance with beaklike protrusion of the midface (bird headed). In addition to the characteristic craniofacial dysmorphism and skeletal defects, abnormalities have been described in the cardiovascular, hematopoietic, endocrine, gastrointestinal, and central nervous systems. Usually such patients have poor psychomotor development. This case report presents an 8-year-old child with SS born to parents, exposed in Bhopal gas disaster. Symptoms of inferior alveolar nerve (IAN) compression are reported during endodontic procedures, placement of implants, third molar surgeries, inferior alveolar nerve block injections, trauma, orthognathic injuries, ablative surgeries or use of medicaments. Presented is a rare case of a 15-year-old girl who reported severe pain in relation to an impacted permanent mandibular left second molar, the roots of which had entrapped the mandibular canal causing compression of IAN. Timely surgical intervention and sectional removal of the impacted molar is indicated to relieve the symptoms and avoid permanent damage to the nerve. West syndrome a rare, severe form of epilepsy occurs in early infancy. It is characterized by a triad consisting of infantile spasms that occurs in clusters, arrest of psychomotor development and hypsarrhythmia on electroencephalogram. We present here two cases of west syndrome where patients required dental care due to the presence of certain dental findings. Preventive measurements such as controlled diet and proper oral hygiene along with professional dental management are recommended in patients with west syndrome to avoid dental problems. Root canal treatment in teeth with incomplete root formation is a challenge. A case of maturogenesis in an immature infected tooth along with probable factors needed for success is discussed. Although clinical and radiographic evidence points to healing and root development, the long-term prognosis and the behavior of tissue occupying the canal space needs further investigation before the procedure can be adopted into routine clinical practice. White opacities have always been a major concern of esthetics for patients and can have varying etiology. In general, white discolorations of enamel might be due to dental fluorosis, early caries (white spot lesions), developmental defects etc. Conventional treatment options available for such opacities include non-invasive and invasive approaches. Recently, a new "micro-invasive" technique has been introduced as an alternative therapeutic approach that improves such opacities esthetically, in a single sitting, is painless and exhibits no complications. 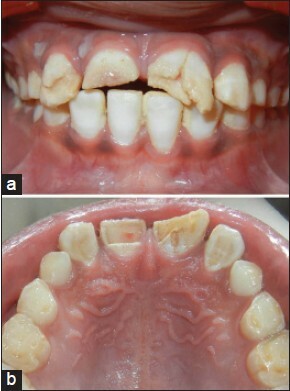 This case series illustrates the use of resin infiltration to treat fluorosis stains and WSLs, exhibiting significant improvement in esthetics. 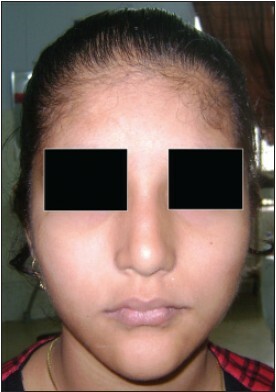 Glanzmann's thrombasthenia (GT) is a rare, congenital, and moderate to severe platelet disorder. The bleeding time is increased, due to lack of platelet aggregation, since the patients with GT have deficient or dysfunctional integrin membrane glycoproteins IIb and IIIa essential for platelet aggregation. Children with GT are mostly diagnosed very early in life due to the spontaneous and unexplained mucocutaneous bleeding. It is quite a challenging task when any surgery is indicated for children with GT. 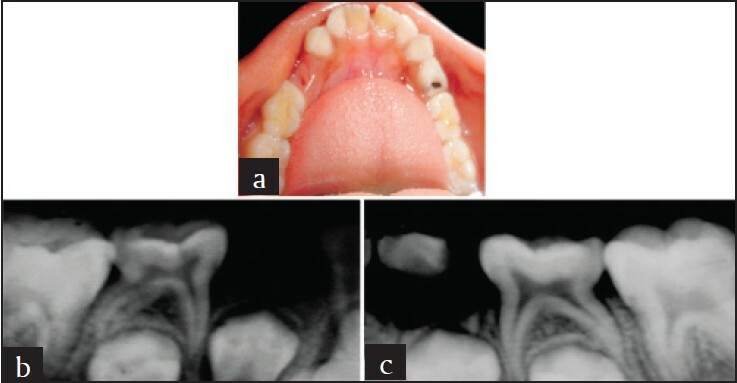 This case report is about the medical and surgical management of an 11-year-old girl diagnosed with Glannzmann's thrombasthenia who had to undergo a maxillary cyst enucleation. Talon cusps in mandibular anterior teeth are very rare. Talon cusps in mandibular anterior teeth associated with other anomalies are even rarer and that a bilateral case in the mandible has not been reported before. In this report, eight such rare cases of talon cusps in permanent mandibular incisors are presented. It includes a bilateral case that in the author's knowledge is the first case reported in the English literatures. Fractures of multiple permanent anterior teeth can be a traumatic experience for children, with functional, esthetic and psychological aspects. The treatment of complicated crown-root fractures (CRFs) is more challenging when the biologic width is violated. 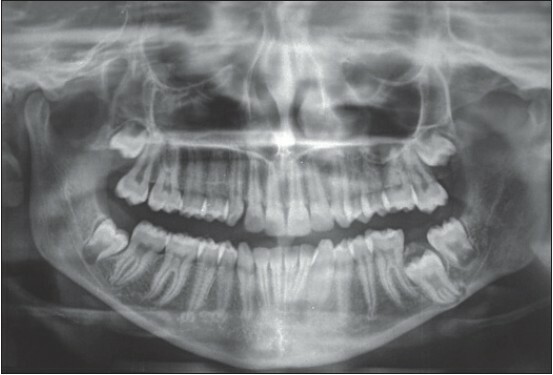 This paper presents a case of 12-year boy with complicated CRF of teeth #12 and #21, and horizontal crown fracture of tooth #11. It was managed by endodontic treatment, mucoperiosteal surgery with osteotomy to visualize the fracture line for fragment reattachment, followed by fiber-post placement and restoration with polycarbonate crowns. Clinical and radiographic evaluation after 6 months was satisfactory with adequate functional and esthetic results.